Appendix DATA-2014 provides references to the data used to develop the Compliance Recertification Application (CRA) of 2014 (CRA-2014). Interpretation and analysis of those data are provided in the appropriate sections of the CRA-2014. Title 40 CFR § 194.15(a)(1), (2), (3), and (5) (U.S. EPA 1996), Content of Recertification Applications, require that the U.S. Department of Energy (DOE) provide information obtained since the Compliance Certification Application (CCA) (U.S. DOE 1996) related to site geology, hydrology, and meteorology. Additional monitoring results and the results of laboratory investigations completed after the CRA-2009 (U.S. DOE 2009a) must also be provided, as well as information regarding the waste emplaced in the disposal system. The DOE uses various programs to capture and analyze relevant information. These programs and the resulting information are discussed in the appropriate sections of this appendix. The Delaware Basin Drilling Surveillance Program (DBDSP) monitors drilling activities in the Delaware Basin. This section provides a brief discussion of the program and identifies the relevant data reports. The EPA requires the DOE to demonstrate the expected containment performance of the disposal system using a PA. The PAs documented in the CCA, CRA-2004 (U.S. DOE 2004), CRA-2009, and CRA-2014 demonstrated that the DOE complies with the EPA's containment standards for undisturbed and human intrusion scenarios. The criteria in 40 CFR § 194.33 (U.S. EPA 1996) require the use of historic drilling information to derive the drilling rate for PA intrusion scenarios. The DBDSP continues to monitor drilling-related activities, providing data used to determine whether the assumptions and scenarios used in PA remain valid, and uses the monitoring data to determine the drilling rate. These monitoring activities will continue until the DOE and the EPA agree that no additional benefit can be gained by further monitoring. The two COMP parameters monitored by the DBDSP are the drilling rate (67.3 boreholes per square kilometer) (U.S. DOE 2012a) and the probability of encountering a Castile brine reservoir (4.5%) (Callicoat 2013a), which are discussed in the annual reports for this program and also in the COMPs assessments described in Section DATA-10.0. Other information collected by this program include drilling-related data, mining information, and seismic information. · Delaware Basin Monitoring Annual Report, DOE/WIPP-08-2308, September 2008 (U.S. DOE 2008a). · Delaware Basin Monitoring Annual Report, DOE/WIPP-09-2308, September 2009 (U.S. DOE 2009b). · Delaware Basin Monitoring Annual Report, DOE/WIPP-10-2308, September 2010 (U.S. DOE 2010a). · Delaware Basin Monitoring Annual Report, DOE/WIPP-11-2308, September 2011 (U.S. DOE 2011a). · Delaware Basin Monitoring Annual Report, DOE/WIPP-12-2308, September 2012 (U.S. DOE 2012a). · Callicoat, J. 2013. "Castile Brine Encounters 2012." Memo to File, Regulatory Environmental Services, Carlsbad, NM; RES:13:106 (Callicoat 2013a). · Callicoat, J. 2013. "Seismic Activity within the Delaware Basin 2012." Memo to File, Regulatory Environmental Services, Carlsbad, NM; RES:13:107 (Callicoat 2013b). Subsidence monitoring measures vertical movement of the land surface relative to a reference location. This section provides a brief discussion of the Subsidence Monitoring Program (SMP) and identifies the relevant data reports. The SMP uses a leveling survey to measure the relative vertical height differences between benchmarks. A level survey consists of using one benchmark's elevation as a constant elevation and determining the elevation of all other benchmarks relative to it. Comparison between level surveys allows vertical movement patterns to be established over time. These comparative surveys allow substantial deviation of actual subsidence from expected subsidence to be detected. Each year approximately 15 miles of leveling surveying is completed utilizing nine vertical control loops consisting of 48 subsidence monuments and 14 National Geodetic Survey vertical control points. Subsidence rates are small and are approximately at the resolution level of the survey accuracy. The benchmarks with the highest rates are seen above the mined panels. All subsidence rates fall within the predicted values. Data generated through the SMP are provided in the following reports published since the CRA-2009. Each report includes previous years' data. · WIPP Subsidence Monument Leveling Survey 2008, DOE/WIPP 09-2293, December 2008 (U.S. DOE 2008b). · WIPP Subsidence Monument Leveling Survey 2009, DOE/WIPP 10-2293, December 2009 (U.S. DOE 2009c). · WIPP Subsidence Monument Leveling Survey 2010, DOE/WIPP 11-2293, December 2010 (U.S. DOE 2010b). · WIPP Subsidence Monument Leveling Survey 2011, DOE/WIPP 12-2293, December 2011 (U.S. DOE 2011b). · WIPP Subsidence Monument Leveling Survey 2012, DOE/WIPP 12-3497, December 2012 (U.S. DOE 2012b). The Geotechnical Monitoring Program (GMP) measures in situ geotechnical data in the WIPP repository. This section provides a brief discussion of the GMP and identifies the relevant data reports. The GMP collects data through instrumentation and observation. These data are used to confirm the understanding of geomechanical characteristics and aid in assessing the stability and performance of the underground facility. Constituent programs, described below, include the Geosciences Program, the Geomechanical Monitoring Program, and the Rock Mechanics Program. The Geosciences Program includes the collection of underground data used to assess the repository by documenting the existing geologic conditions and characteristics and monitoring excavation response. Activities associated with this program include geologic and fracture mapping of the excavation surface, core logging, and borehole observations. The Geomechanical Monitoring Program includes monitoring the geomechanical response of the underground openings after mining using instrumentation installed in the shafts and drifts of the facility. Geotechnical instrumentation installed underground in the shafts and drifts includes tape extensometer points, convergence meters, borehole extensometers, piezometers, strain gauges, load cells, and crack meters. The instrumentation is sensitive enough to detect small changes in rock displacements and stresses. To determine significant deviations from expected conditions, the Management and Operating Contractor uses the Rock Mechanics Program to assess the performance of the underground excavation for safety and stability during the operational phase. The results from these assessments allow the identification of potentially unstable areas and the application of remedial actions, if necessary. Field data are used to compare the actual mechanical performance of the excavations to expected results. Analytical methods, such as numerical modeling, determine the potential effects of mining new excavations, excavation sequence, and long-term behavior of the repository. Extensive experimental work and observations have established an understanding of time-dependent geomechanical properties of the salt that are used to predict its in situ mechanical performance. These assessments rely heavily on the in situ instrumentation data and field observations from the Geoscience and Geomechanical Monitoring Programs. Data generated through the GMP are reported annually in the Geotechnical Analysis Report. References for reports prepared since the development of the CRA-2009 are provided below. Each report includes previous years' data. Four parameters, relating to information collected by the GMP, are required to be monitored by the DOE. These are creep closure, extent of deformation, initiation of brittle deformation, and displacement of deformation features. Creep closure and displacement of deformation features are quantitative. Extent of deformation and initiation of brittle deformation are qualitative. These four parameters are discussed and analyzed in the COMPs reports listed in Section DATA-10.2. · Washington TRU Solutions, LLC, 2009, Geotechnical Analysis Report for July 2007-June 2008, DOE/WIPP 09-3177, Carlsbad, NM (U.S. DOE 2009d). · Washington TRU Solutions, LLC, 2010, Geotechnical Analysis Report for July 2008-June 2009, DOE/WIPP 10-3177, Carlsbad, NM (U.S. DOE 2010c). · Washington TRU Solutions, LLC, 2011, Geotechnical Analysis Report for July 2009-June 2010, DOE/WIPP 11-3177, Carlsbad, NM (U.S. DOE 2011c). · Washington TRU Solutions, LLC, 2012, Geotechnical Analysis Report for July 2010-June 2011, DOE/WIPP 12-3484, Carlsbad, NM (U.S. DOE 2012c). The Geotechnical Analysis Report for July 2011-June 2012 was issued after the February 2013 CRA-2014 publication cutoff date. The Groundwater Monitoring Program (GWMP) collects and analyzes data for various wells at or near the WIPP site. This section briefly describes the GWMP and identifies relevant reports. One function of the GWMP is the collection of groundwater data from the Culebra Dolomite Member of the Rustler Formation (hereafter referred to as the Culebra), such as water levels and water quality, from numerous wells located at and near the facility. The Culebra was selected as the focus of the GWMP. It has been extensively studied during past hydrologic characterization programs and was found to be the most likely hydrologic pathway to the accessible environment for any potential human-intrusion-caused release scenario. Data obtained through this program are used to generate the Culebra groundwater composition and the Culebra groundwater flow COMPs. Details on how the program is implemented are provided in Appendix MON-2014. · U.S. Department of Energy, 2008, Waste Isolation Pilot Plant Annual Site Environmental Report for 2007, DOE/WIPP 08-2225, Carlsbad, NM (U.S. DOE 2008c). · U.S. Department of Energy, 2009, Waste Isolation Pilot Plant Annual Site Environmental Report for 2008, DOE/WIPP 09-2225, Carlsbad, NM (U.S. DOE 2009e). · U.S. Department of Energy, 2010, Waste Isolation Pilot Plant Annual Site Environmental Report for 2009, DOE/WIPP 10-2225, Carlsbad, NM (U.S. DOE 2010d). · U.S. Department of Energy, 2011, Waste Isolation Pilot Plant Annual Site Environmental Report for 2010, DOE/WIPP 11-2225, Carlsbad, NM (U.S. DOE 2011d). · U.S. Department of Energy, 2012, Waste Isolation Pilot Plant Annual Site Environmental Report for 2011, DOE/WIPP 12-3489, Carlsbad, NM (U.S. DOE 2012d). The Meteorological Monitoring Program measures atmospheric data for the WIPP site. This section provides a brief description of the program and relevant reports. The primary WIPP meteorological station is located 600.5 meters (m) (1,970 feet (ft)) northeast of the Waste Handling Building. The main function of the station is to provide data for atmospheric modeling. The station measures and records wind speed, wind direction, and temperature at elevations of 2, 10, and 50 m (6.5, 33, and 165 ft). The station records ground-level measurements of barometric pressure, relative humidity, precipitation, and solar radiation. The annual site environmental reports listed in Section DATA-5.2 provide data relevant to the Meteorological Monitoring Program. The CCA, Appendix CLI provides information on past (long-term) climatic conditions and predicted future conditions at the WIPP site. A discussion of the wind, rainfall, and temperature variation can be found in CRA-2014, Section 15. Two types of information related to waste characteristics are collected: (1) information regarding waste that has been emplaced in the WIPP underground repository, and (2) information regarding future inventory that will be emplaced in the WIPP underground repository during the entire lifetime of the project. This section provides a brief description of the programs and a list of relevant reports. Information concerning waste that has been emplaced in the repository is tracked and recorded using the Waste Data System (WDS), formerly the WIPP Waste Information System. Information concerning future wastes to be emplaced in the WIPP is developed through periodic updates of the Annual Transuranic Waste Inventory Reports. The inventory for the CRA-2014 PA is from the Performance Assessment Inventory Report -2012 (Van Soest 2012) based on the Annual Transuranic Waste Inventory Report-2012 (U.S. DOE 2012e), that provides updated inventory information. The DOE anticipates that these inventory updates will have only a small impact on normalized releases relative to the CRA-2014 PA, and therefore have no significant impact on compliance. Summary information generated by the WDS on emplaced waste and radionuclides is provided in the following reports published since the CRA-2009. See page 21 of the Annual Change Report 2011/2012, DOE/WIPP-12-3496 (U.S. DOE 2012f) for a detailed listing of the emplaced waste in the repository. · U.S. Department of Energy, Annual Change Report 2007/2008, DOE/WIPP 08-3317, November 15, 2008 (U.S. DOE 2008d). · U.S. Department of Energy, Annual Change Report 2008/2009, DOE/WIPP 09-0335, November 13, 2009 (U.S. DOE 2009f). · U.S. Department of Energy, Annual Change Report 2009/2010, DOE/WIPP 10-1660, November 15, 2010 (U.S. DOE 2010e). 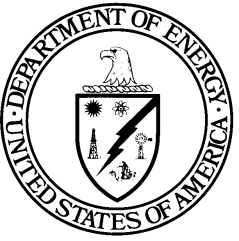 · U.S. Department of Energy, Annual Change Report 2010/2011, DOE/WIPP 11-3479, August 30, 2011 (U.S. DOE 2011e). · U.S. Department of Energy, Annual Change Report 2011/2012, DOE/WIPP 12-3496, October 2012 (U.S. DOE 2012f). · U.S. Department of Energy, Annual Transuranic Waste Inventory Report-2008, DOE/TRU-08-3425, Revision 0 (U.S. DOE 2008e). · U.S. Department of Energy, Annual Transuranic Waste Inventory Report-2009, DOE/TRU-09-3425, Revision 0 (U.S. DOE 2009g). · U.S. Department of Energy, Annual Transuranic Waste Inventory Report-2010, DOE/TRU-10-3425, Revision 0 (U.S. DOE 2010f). · U.S. Department of Energy, Annual Transuranic Waste Inventory Report-2011, DOE/TRU-11-3425, Revision 0 (U.S. DOE 2011f). · U.S. Department of Energy, Annual Transuranic Waste Inventory Report-2012, DOE/TRU-12-3425, Revision 0 (U.S. DOE 2012e). Information regarding WIPP monitoring wells is identified in this section, and relevant data are provided. Information provided in this section was reported in DOE/WIPP 95-2092, Revision 1, Waste Isolation Pilot Plant Borehole Data Report (the CCA, Appendix BH). The CCA, Appendix BH serves as a central document providing data on boreholes. The report contains a comprehensive database of wells drilled in support of the WIPP Project and boreholes that were located within the 16-section land withdrawal area. Attachment A to this appendix provides updates on all of the monitoring wells used in the CCA, Appendix BH, and the new monitoring wells drilled since the initial certification. The attachment also adds wells that were in use, but inadvertently omitted from the CCA, Appendix BH. There were 6 wells drilled and 7 wells plugged during the CRA-2014 monitoring period from October 1, 2007, through December 31, 2012. The WIPP Repository Investigations Program conducts research activities to confirm assumptions, reduce uncertainty, and resolve issues regarding the conceptual models and parameters used in PA. The program is briefly described in this section and references to relevant reports are provided. Data acquired by the DOE from the repository investigations are available in the following reports, publications, and technical memoranda published since the CRA-2009. Abstracts, posters, presentations, test plans, and analysis plans are not included because they typically contain preliminary data. · "Proceedings of the International Workshops ABC-Salt (II) and HiTAC 2011" (Altmaier et al. 2012). · "Numerical Values for Graphs Presented in Report LCO-ACP-17, Rev. 0, Entitled: "Solubility of An(UIV) in WIPP Brine: Thorium Analog Studies in WIPP Simulated Brine" (Borkowski 2012). · "Actinide (III) Solubility in WIPP Brine: Data Summary and Recommendations" (Borkowski, Lucchini, Richmann, and Reed 2010). · "Solubility of An(IV) in WIPP Brine: Thorium Analog Studies in WIPP Simulated Brine" (Borkowski, Richmann, and Lucchini 2012). · "Complexation of Nd(III) with Tetraborate Ion and Its Effect on Actinide(III) Solubility in WIPP Brine" (Borkowski, Richmann, Reed, and Xiong 2010). · "Predictions of the Compositions of Standard WIPP Brines as a Function of pcH for Laboratory Studies of the Speciation and Solubilities of Actinides" (Brush, Domski, and Xiong 2011). · "Revised Predictions of WIPP Baseline Actinide Solubilities as a Function of the Volume of Standard Brines" (Brush, Domski, and Xiong 2012). · "Predictions of Actinide Solubilities as a Function of the Volume of Standard WIPP Brines" (Brush, Domski, Xiong, and Long 2011). · "Sensitivity of the Long-Term Performance of the WIPP to EDTA" (Brush, Xiong, Garner, Kirchner, and Long 2008). · "Results of the Calculations of Actinide Solubilities for the CRA-2009 PABC" (Brush, Xiong, and Long 2009). · "Solubility and Speciation of Cm(III) and Nd(III) in Borate Rich NaCl and CaCl2 Solutions" (Hinz et al. 2012). · Memorandum to Records Center (Subject: Derivation of Pitzer ion interaction parameters for the pair Na+ and FeEDTA2-) (Jang 2012a). · Memorandum to Records Center (Subject: Derivation of the solubility product for ferrous iron oxalate dihydrate in NaCl solutions and related Pitzer ion interaction parameter) (Jang 2012b). · "Iron, Lead, Sulfide, and EDTA Solubilities" (Jang, Xiong, Kim, and Nemer 2011). · "Iron, Lead, Sulfide, and EDTA Solubilities" (Jang, Xiong, Kim, and Nemer 2012). · "Uranium Solubility in Carbonate-Free ERDA-6 Brine" (Lucchini, Khaing, and Reed 2010). · "Actinide (VI) Solubility in Carbonate-free WIPP Brine: Data Summary and Recommendations" (Lucchini, Khaing, Borkowski, Richmann, and Reed 2010). · "WIPP Actinide-Relevant Brine Chemistry" (Lucchini et al. 2013). · "Uranium(VI) Solubility in WIPP Brine" (Lucchini, Richmann, and Borkowski 2013). · "Influence of Carbonate on Uranium Solubility in Brine" (Lucchini, Ballard, and Khaing 2012). · "Solubility of Fe2(OH)3Cl (pure-iron end-member of hibbingite) in NaCl and Na2SO4 brines" (Nemer, Xiong, Ismail, and Jang 2010). · "Determination of ferrous and ferric iron in aqueous biological samples" (Pepper, Borkowski, Richmann, and Reed 2010). · "Using Thermodynamic Models: Saline Systems" (Reed 2011). · "Intrinsic, Mineral, and Microbial Colloid Enhancement Parameters for the WIPP Actinide Source Term" (Reed, Swanson, Lucchini, and Richmann 2013). · "Redox-Controlling Processes for Multivalent Metals and Actinides in the WIPP" (Reed et al. 2012). · "Subsurface Interactions of Actinide Species and Microorganisms" (Reed, Deo, and Rittmann 2010). · "Comparison of the Calculated Thorium Solubility (Concentration) Using the Constants from the TMT_050405 Database with the Experimental Data Published in Altmaier, M., Neck, V., Muller, R. and Fanghanel, T. Radiochimica Acta, 93(2), 83-92 (2005)" (Richmann 2010). · "Iron and Lead Corrosion in WIPP-Relevant Conditions: 12 Month Results" (Roselle 2010). · "Determination of pCH+ Correction Factors in Brines" (Roselle 2011a). · "Iron and Lead Corrosion in WIPP-Relevant Conditions: 18 Month Results" (Roselle 2011b). · "Iron and Lead Corrosion in WIPP-Relevant Conditions: 24 Month Results" (Roselle 2011c). · "Determination of Corrosion Rates from Iron/Lead Corrosion Experiments to be used for Gas Generation Calculations" (Roselle 2013). · "Thermodynamic Modeling of Trivalent Am, Cm, and Eu-Citrate Complexation in Concentrated NaClO4 Media" (Thakur, Xiong, Borkowski, and Choppin 2012). · "Thermodynamic Properties of Brucite Determined by Solubility Studies and Their Significance to Nuclear Waste Isolation" (Xiong 2008a). · "Experimental Determination of Solubility Constant of Hydromagnesite (5424) in NaCl Solutions up to 4.4 M at Room Temperature" (Xiong 2010a). · Memorandum to Record Center (Subject: Calculations of Thermodynamic Parameters for Experimental Data Generated at Los Alamos National Laboratory Carlsbad Operation (LANL-CO)) (Xiong 2010b). · Memorandum to Record Center (Subject: Summary Report for Migration of the WIPP Thermodynamic Code from FMT to EQ3/6 Version 8.0a) (Xiong 2010c). · "Experimental Study of Thermodynamic Parameters of Borate in WIPP Relevant Brines at Sandia National Laboratories Carlsbad Facility" (Xiong 2011a). · "Organic Species of Lanthanum in Natural Environments: Implications to Mobility of Rare Earth Elements in Low Temperature Environments" (Xiong 2011b). · "WIPP Verification and Validation Plan/Validation Document for EQ3/6 Version 8.0a for Actinide Chemistry, Revision 1. Supersedes ERMS 550239" (Xiong 2011c). · "Experimental Determination of Solubility Constant of Di-Calcium Ethylenediaminetetraacetic Acid (Ca2EDTA), Ca2C10H12N2O8(S), in the NaCl-H2O System" (Xiong 2012a). · "Thermodynamic Model for the Na-B(OH)3-Cl-SO4 System" (Xiong 2012b). · "Thermodynamic Model for the Na-B(OH)3-Cl-SO4 System, Revision 1, Superseding ERMS 558111" (Xiong 2012c). · "Experimental Investigations of the Reaction Path in the MgO-CO2-H2O System in Solutions with Various Ionic Strengths, and Their Applications to Nuclear Waste Isolation" (Xiong and Lord 2008). · "Experimental determination of the solubility constant for magnesium chloride hydroxide hydrate (Mg3Cl(OH)5•4H2O, Phase 5) at room temperature, and its importance to nuclear waste isolation in geological repositories in salt formations" (Xiong, Deng, Nemer, and Johnsen 2009a). · Memorandum to Larry Brush (Subject: Thermodynamic Data for phase 5 (Mg3Cl(OH)5∙4H2O) Determined from Solubility Experiments.) (Xiong, Deng, Nemer, and Johnsen 2009b). · "Responses to Three EPA Comments Pertaining to Comparisons of Measured and Predicted Dissolved and Colloidal Th(IV) and Am(III) Concentrations" (Xiong, Brush, Garner, and Long 2010a). · "Responses to Three EPA Comments Pertaining to Comparisons of Measured and Predicted Dissolved and Colloidal Th(IV) and Am(III) Concentrations, Revision 1. Supersedes ERMS 553409" (Xiong, Brush, Garner, and Long 2010b). · "Uncertainty Analysis of Actinide Solubilities for the WIPP CRA-2009 PABC, Rev. 1, Supersedes ERMS 552500" (Xiong, Brush, Domski, and Long 2011). · "Experimental Determination of Solubilities of Lead Oxalate (PbC2O4(cr)) in a NaCl Medium to High Ionic Strengths, and the Importance of Lead Oxalate in Low Temperature Environments" (Xiong, Kirkes, Westfall, Olivas, and Roselle 2011). · "The Effect of High Ionic Strength on Neptunium (V) Adsorption to a Halophilic Bacterium" (Ams et al. 2013). · "Update on Microbial Characterization of WIPP Groundwaters" (Swanson and Simmons 2013). · "Degradation of Organic Complexing Agents by Halophilic Microorganisms in Brines" (Swanson, Norden, Khaing, and Reed 2012). · "Status Report on the Microbial Characterization of Halite and Groundwater Samples from the WIPP" (Swanson, Reed, Ams, Norden, and Simmons 2012). · "Biodegradation of Organic Complexing Agents by WIPP-indigenous Halophilic Microorganisms in Brines" (Swanson, Simmons, Norden, and Khaing 2013). · "Calculation of Organic-Ligand Concentrations for the WIPP CRA-2014 PA" (Brush and Domski 2013a). · "Prediction of Baseline Actinide Solubilities for the WIPP CRA-2014 PA" (Brush and Domski 2013b). · "Uncertainty Analysis of Actinide Solubilities for the WIPP CRA-2014 PA" (Brush and Domski 2013c). · "Calculation of Organic-Ligand Concentrations for the WIPP CRA-2009 PABC" (Brush and Xiong 2009). · "Summary Report for the AP-151 (PC3R) Performance Assessment, Revision 1" (Camphouse, Clayton, Kicker, and Pasch 2011). · Memorandum to WIPP Records Center (Subject: Recommendations and Justifications of Parameter Values for the Run-of-Mine Salt Panel Closure System Design Modeled in the PCS-2012 PA) (Camphouse, Gross, Herrick, Kicker, and Thompson 2012). · "Summary Report and Run Control for the 2012 WIPP Panel Closure System Performance Assessment, Rev. 0" (Camphouse et al. 2012). · Memorandum to the SNL WIPP Records Center Defense Waste Management Programs (Subject: Memo AP-154, Task 10 EQ3/6 Database Update) (Domski 2012). · Memorandum to the WIPP Records Center (Subject: Calculations Performed in Support of Reconsolidation of Crushed Salt in Panel Closures) (Herrick 2012a). · Memorandum to the WIPP Records Center (Subject: JAS3D Calculations Performed in Support of the PCS-2012 PA Parameters Selections) (Herrick 2012b). · "Estimating the Extent of the Disturbed Rock Zone around a WIPP Disposal Room" (Herrick, Park, Lee, and Holcomb 2009). · "Determining the Hydrodynamic Shear Strength of Surrogate Degraded TRU Waste Materials as an Estimate for the Lower Limit of the Performance Assessment Parameter TAUFAIL, Revision 0" (Herrick, Schuhen, Chapin, and Kicker 2012). · Memorandum to Records (Subject: Verification of FMT database and conversion to EQ3/6 format) (Ismail, Deng, Jang, and Wolery 2009). · Email to Tom Peake (Subject: Response to EPA Questions on Two-Phase Flow and ROM Permeability) (U.S. DOE 2012g). · Letter to Mr. Jonathan Edwards (Subject: Response to EPA Letter Dated December 22, 2011) (U.S. DOE 2012h). · "Verification and Validation Plan/Validation Document for EQ3/6 Version 8.0a for Actinide Chemistry, Document Version 8.10" (Wolery, Xiong, and Long 2010). · Memorandum to Larry Brush (Subject: HMI-an EQ3/6 Database with Iron Species) (Xiong 2008b). · Email to Jennifer Long (Subject: Release of FMT_090720.CHEMDAT) (Xiong 2009). · Email to Jennifer Long (Subject: Release of EQ3/6 Database DATA0.FM1) (Xiong 2011d). · "Experimental Study of Thermodynamic Parameters of Borate in WIPP Relevant Brines at Sandia National Laboratories Carlsbad Facility" (Xiong 2012d). · Memorandum to The WIPP Record Center (Subject: Memo of Corrections for 'Second Milestone Report on Test Plan TP 08-02, "Iron, Lead, Sulfide, and EDTA Solubilities" (ERMS 557198)') (Xiong 2012e). · "Establishment of Uncertainty Ranges and Probability Distributions of Actinide Solubilities for Performance Assessment in the Waste Isolation Pilot Plant" (Xiong, Nowak, Brush, Ismail, and Long 2010). · "Uncertainty Analysis of Actinide Solubilities for the WIPP CRA-2009 PABC" (Xiong, Brush, Ismail, and Long 2009). · "Improvements in Our Understanding of How MgO Will Control pH in WIPP Disposal Rooms" (Brush 2008). · "Experimental Work Conducted on MgO Long-Term Hydration" (Deng, Xiong, Nemer, and Johnsen 2009). · Memorandum to Chris Camphouse (Subject: Follow-up to questions concerning TAUFAIL flume testing raised during the November 14-15, 2012 technical exchange between the DOE and EPA) (Herrick and Kirchner 2013). · "Data Report for Analysis Plan for Demonstration Test Process: Soil Flume Sixnet Data Acquisition System" (Schuhen 2011). Annually, the Compliance Monitoring Program (CMP) extracts data from the repository investigations and five of the monitoring programs described above (DBDSP, SMP, GMP, GWMP, and WDS) to derive values for the 10 COMPs described in Section DATA-1.0 and to evaluate whether significant changes in the parameters have occurred. The CMP activities are briefly described in this section. Data generated under the CMP are also identified. The objective of the CMP is to provide assurance that any deviations from the expected long-term performance of the repository are identified at the earliest possible time. The CMP is implemented in accordance with DOE/WIPP 99-3119, Compliance Monitoring Implementation Plan for 40 CFR §191.14(b), Assurance Requirement (U.S. DOE 2012i). Annual evaluations of the compliance parameters follow the requirements found in Sandia National Laboratories SP 9-8, Monitoring Parameter Assessment Per 40 CFR 194.42, Revision 1 (Wagner 2011). The data and the results of the annual COMPs assessments performed in accordance with the requirements of the CMP are provided in the following reports published since the CRA-2009. There are no COMPs data or results that indicate a reportable event or condition adverse to predicted performance. · Sandia National Laboratories, "Sandia National Laboratories Compliance Monitoring Parameter Assessment for 2008, WBS 1.3.1, January 2009," Carlsbad, NM (Sandia National Laboratories 2009). · Sandia National Laboratories, "Sandia National Laboratories Compliance Monitoring Parameter Assessment for 2009, WBS 1.3.1, January 2010," Carlsbad, NM (Sandia National Laboratories 2010a). · Sandia National Laboratories, "Sandia National Laboratories Compliance Monitoring Parameter Assessment for 2010, WBS 1.3.1, November 2010," Carlsbad, NM (Sandia National Laboratories 2010b). · Sandia National Laboratories, "Sandia National Laboratories Compliance Monitoring Parameter Assessment for 2011, WBS 1.3.1, December 2011," Carlsbad, NM (Sandia National Laboratories 2011). · Sandia National Laboratories, "Sandia National Laboratories Compliance Monitoring Parameter Assessment for 2012, WBS 1.3.1, November 2012," Carlsbad, NM (Sandia National Laboratories 2012). A reassessment of the Trigger Values used to support the annual COMPs assessment is provided in "Sandia National Laboratories Trigger Value Derivation Report, Revision 2, WBS 1.3.1, December 2010," Carlsbad, NM (Sandia National Laboratories 2010c). The Exhaust Shaft Hydraulic Assessment, now the Shallow Subsurface Water Investigation, was initiated in September 1996 to investigate the source and extent of water seepage into the exhaust shaft at the WIPP. An investigation of rising water levels in the Culebra was initiated in 1999. These hydrologic investigations are briefly described in this section. Sources of data generated from the investigations are also identified. Investigations of water entering the exhaust shaft led to the observation of a shallow perched groundwater horizon in a saturated layer within the lower Santa Rosa Formation and the upper Dewey Lake Redbeds Formation, about 15 m (49 ft) below ground surface. During the original drilling and geological mapping of the shaft, no water was encountered at that horizon, indicating that the presence of water may be related to site activities subsequent to shaft drilling. Three wells and 12 piezometers were installed over an 80-acre area between September 1996 and July 1997 (INTERA 1997). In 2007, three more piezometers were installed. No new piezometers have been installed since 2007. Water-level and water-quality parameters continue to be monitored and reported on a regular basis. During the 1999 annual COMPs assessment, Culebra water levels in many of the WIPP monitoring wells exceeded the CCA ranges of uncertainty established for equilibrium freshwater heads to calibrate transmissivity fields needed for Culebra flow and transport calculations. Culebra water-level rises had also been observed at the time of the CCA submittal in 1996 but were attributed to natural recovery of water levels following years of hydraulic well testing at the WIPP site and grouting of the WIPP shafts. Subsequent to the 1999 COMPs assessment, Culebra water levels showed a continued rise even though water levels at the WIPP site were thought to have fully recovered from hydraulic testing and shaft grouting. In response to this observation, the DOE initiated an investigation into the cause of the water-level rise and the impact of the rise on the long-term performance of the WIPP, which is discussed in Appendix HYDRO-2009 and Appendix HYDRO-2014. Culebra water-level rises peaked around 2008 and have shown a continuing gradual decline since that time. Data acquired from the two hydrologic investigations are provided in the reports cited below for the Shallow Subsurface Water Investigation and the Culebra water-level rise investigation. The Geotechnical Analysis Reports listed in Section DATA-4.2 provide data relevant to the Shallow Subsurface Water Investigation. Additional detailed information on this subject is contained in "Hydrologic Assessment of Shallow Subsurface Water" (Daniel B. Stephens & Associates, Inc. 2008), and "Assessment of Lead in PZ-13 Near the Site and Preliminary Design Validation (SPDV) Pile at Waste Isolation Pilot Plant" (Daniel B. Stephens & Associates, Inc. 2010). · Letter to Rick Beauheim (Subject: WIPP/SNL-6 (C)) (Hall Environmental Analysis Laboratory 2008a). · Letter to Rick Beauheim (Subject: WIPP/H-15 (M)) (Hall Environmental Analysis Laboratory 2008b). · Letter to Rick Beauheim (Subject: WIPP/LRL-7) (Hall Environmental Analysis Laboratory 2008c). · Letter to Rick Beauheim (Subject: WIPP/USGS-4) (Hall Environmental Analysis Laboratory 2008d). · Letter to Rick Beauheim (Subject: WIPP/USGS-8) (Hall Environmental Analysis Laboratory 2008e). · Letter to Rick Beauheim (Subject: WIPP/H-6bR) (Hall Environmental Analysis Laboratory 2009a). · Letter to Rick Beauheim (Subject: WIPP/H-15R) (Hall Environmental Analysis Laboratory 2009b). · Letter to Rick Beauheim (Subject: WIPP/H-18 (M)) (Hall Environmental Analysis Laboratory 2009c). · Letter to Rick Beauheim (Subject: WIPP/H-3b1 (M)) (Hall Environmental Analysis Laboratory 2009d). · Letter to Rick Beauheim (Subject: WIPP/H-4bR) (Hall Environmental Analysis Laboratory 2009e). · Letter to Rick Beauheim (Subject: WIPP/WIPP-18 (M)) (Hall Environmental Analysis Laboratory 2010a). · Letter to Rick Beauheim (Subject: WIPP/H-6c (M)) (Hall Environmental Analysis Laboratory 2010b). · Letter to Rick Beauheim (Subject: WIPP/H-8a (M)) (Hall Environmental Analysis Laboratory 2010c). · Letter to Rick Beauheim (Subject: WIPP/H-2b1 (M)) (Hall Environmental Analysis Laboratory 2011a). · Letter to Mike Schuhen (Subject: WIPP/H-4c (M)) (Hall Environmental Analysis Laboratory 2011b). · Letter to Mike Schuhen (Subject: WIPP/H-9c (M)) (Hall Environmental Analysis Laboratory 2011c). · Letter to Mike Schuhen (Subject: WIPP/H-9bR (C)) (Hall Environmental Analysis Laboratory 2011e). · Letter to Mike Schuhen (Subject: WIPP/H-11b4R (C)) (Hall Environmental Analysis Laboratory 2012a). · Letter to Mike Schuhen (Subject: WIPP/H-9bR (C)) (Hall Environmental Analysis Laboratory 2012b). · Letter to Mike Schuhen (Subject: WIPP/H-9bR (C)) (Hall Environmental Analysis Laboratory 2012c). · "2007 Calculated Densities for Use in Deriving Equivalent Freshwater Heads of the Culebra Dolomite Member of the Rustler Formation near the WIPP Site" (Johnson 2008). · "2008 Calculated Densities for Use in Deriving Equivalent Freshwater Heads of the Culebra Dolomite Member of the Rustler Formation near the WIPP Site" (Johnson 2009). · Memorandum to Records Center (Subject: 2009 Calculated Densities) (Johnson 2010). · Memorandum to Records Center (Subject: Memo of Correction 2010 Calculated Densities) (Johnson 2011). · Memorandum to Records Center (Subject: 2003 Calculated Densities) (Johnson 2012a). · Memorandum to Records Center (Subject: 2004 Calculated Densities) (Johnson 2012b). · Memorandum to Records Center (Subject: 2005 Calculated Densities) (Johnson 2012c). · Memorandum to Records Center (Subject: 2006 Calculated Densities) (Johnson 2012d). · Memorandum to Records Center (Subject: 2011 Calculated Densities) (Johnson 2012e). · Memorandum to Records Center (Subject: 2012 Calculated Densities) (Johnson 2012f). · "Culebra Water Level Monitoring Network Design" (Kuhlman 2010). Information regarding WIPP waste emplacement containers and underground waste emplacement layouts are provided in this section. Approved containers that are inside other containers, such as pipe overpacks, are not discussed. Information provided in this section was compiled from several sources to serve as a central document describing both waste emplacement containers and waste emplacement layouts. Both contact-handled transuranic (CH-TRU) and remote-handled transuranic (RH-TRU) waste containers are described along with CH-TRU and RH-TRU waste emplacement layouts in a typical panel in the repository. Only containers approved for disposal in the repository are discussed. Attachment B to this appendix provides detailed information on the various waste containers and their emplacement in the underground repository.